Refreshing, all natural, and not bad on the eyes. If you're into the fizz but not the HFCS, colorings, aspartame, phosphoric acid, potassium benzoate, etc, etc, etc...give this a go! 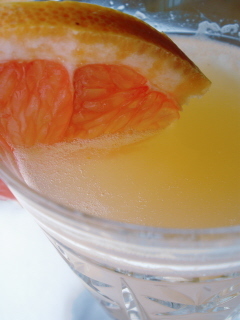 Combine grapefruit and orange juice. Chill for about an hour. 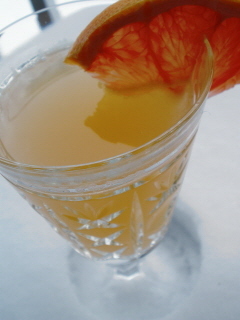 Serve equal parts juice to mineral water, or to taste.